Constipation in babies can be a big problem, especially when they've just started eating solids. Starting solids when your baby hits the six-month landmark can be quite an incredible experience on its own. However, many-a-times your little one’s body might not be able to take this sudden intake of solid food quite well. Well, that’s what happened with my baby girl when she started solids. 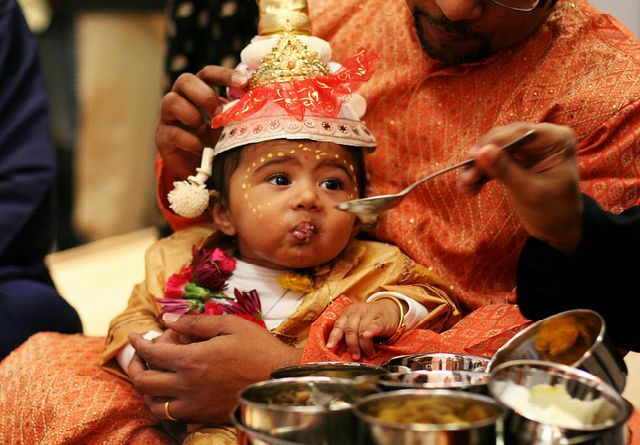 Like any other Indian mother, my first solid food to my baby was rice water or kanji and just about one small piece of mashed banana, which I would give in the mornings. After a week I started giving her moong dal pani as well. All was going on smoothly and in fact, my daughter would look forward to her meal timings every day. 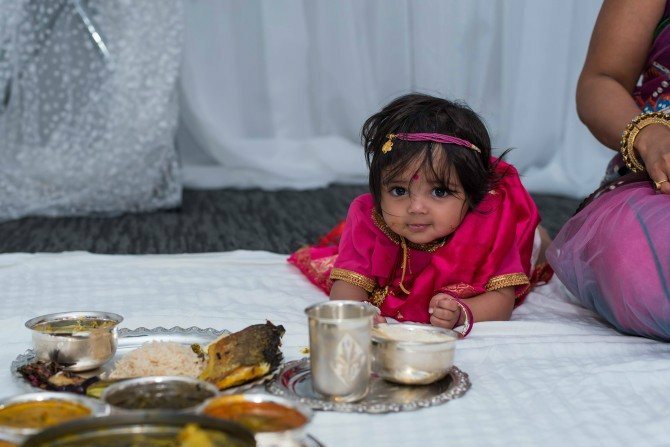 Naturally, I thought that perhaps I should introduce solid foods in her diet as well part from soups and dal ka pani. I started adding a little rice to her moong dal pani and she loved it. All this while she was regular with her bowel movements as well. Well, she did miss out on her poops every alternate day but that was something that was common when she was breastfeeding as well. So it didn’t raise an alarm. However, when she didn’t do potty three days in a row, I got a little worried and asked the doctor. The doctor said that it is quite normal for babies who have just started solids but also asked me to give her more fluids. So I did what the doctor said and eliminated khichdi for the next few days and got back to only rice kanji, dal pani diet. Another mistake that I was making was that I was giving her mashed banana every day, which is something you should completely avoid when your baby is constipated as it is a binding food. However, the damage was already done by that time and my baby didn’t poop for six days in a row and was constipated. Once constipation struck her, it was a nightmare to get her to poop. And as she was not able to pass her bowels she became fussy and irritable. Luckily, the bicycle trick to relieve and the tummy massage worked for me and she was finally relieved. 1.Take it slow: We know that your baby is all grown up and ready for his first few solid meals, but remember to give only one teaspoon at a time so that his body is able to take the load. Remember that a baby’s digestive system is still immature and cannot really digest a lot of food at one time. Also, don’t forget that your baby has been breastfed so far and breastmilk is far more lighter and easy to digest than normal food. 2. Only fluids for a month: Understand that your baby has been on a liquid diet for the last six months and so it would not be a good thing start eating solids at once. Start with liquid and semi-solid foods such as rice kanji, dal ka pani and clear vegetable soups and continue with them for a month so that the baby’s digestive system gets used to it. Vegetables would add more fiber to his diet and so would fruits such as apples and pears. Give binding foods such as bananas, rice, bread and yogurt in moderation. 3. Try these exercises: Another useful way to make sure that your solid-eating baby is not constipated is by doing some leg exercises every day that ease the pressure of tummy and allow easy bowel movements. Try the bicycle movement by gently moving her legs in a forward, circular motion as if he were pedaling a bicycle. Another great exercise would be to gently massage the area below the navel with your fingertips. Make sure you are gentle but firm to enable a smooth bowel movement. If your baby has started crawling, letting him crawl on the mat or floor would be another good exercise to ensure a great bowel movement. 5. Foods to avoid: If you feel that your baby is constipated avoid binding foods such as bananas, rice, bread, and carrots altogether. Add more of apple juice, pears, homemade vegetable soup and other high-fiber foods. 6. Watch out for the poop: Another good way of finding out that your baby is constipated or going to be constipated is by watching out for his poop, especially when your baby has just started solids. Infants or newborns usually have runny poops when they are exclusively breastfed. And once they start solids the consistency of the poop changes and it becomes more chunky and formed. However, if you notice that the potty is too dry and chunky, rev things up a bit and add more high-fiber foods to his diet. You can also increase his physical activity and try the exercises mentioned above. I chose motherhood at 20 and I don't regret it!